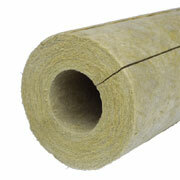 PAROC Pro Section 140 is a non-combustible stone wool pipe section for industrial pipe lines in high temperatures. When insulating pipes with these pipe sections you don't need to use any cladding bearing metal structures, which cause remarkable heat bridges. This product is used also as a first layer in high temperature multi layer solutions.